Margo Bates is committed to protecting the privacy of the personal information collected on this site by following the Personal Information Protection and Electronic Document Act (PIPEDA) and the British Columbia Personal Information Protection Act (PIPA). 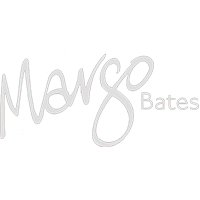 Margo Bates collects information from users through book reviews, media and reader’s comments, workshop and newsletter registration, online merchandise sales and Twitter, LinkedIn and Facebook fan page membership. As the sole owner of the information collected on this website, Margo Bates will not sell, share or rent this information to others. It will be used solely for Margo Bates’ business purposes. Every online transaction and contribution on this site occurs through a safe, private and secure system that protects the user’s personal information. From time to time, Margo Bates may communicate with customers via e-mail and newsletter. If a customer does not wish further communication, he or she is given an opportunity to opt out. If Margo Bates decides at any time to use personal information in a manner different from that stated at the time of collection, she will request permission from the user.